@BifBangPow: More Exclusives for Comic-Con! Talky Tina and Willie! More Exclusives for Comic-Con! Talky Tina and Willie! 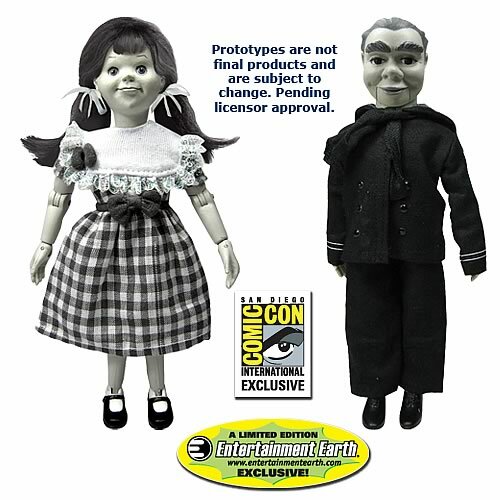 For all of you "Mego" EMCE Toys fans, were proud to bring you Talky Tina and Willie the Dummy from The Twilight Zone in the 8-inch "scale" style. These are made with the child sized body, so they are in scale with the rest of our Twilight Zone action figures.